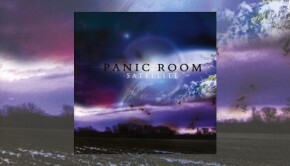 Panic Room have made great strides in the period since the release of their debut, Visionary Position, in 2008 and with Incarnate, their fourth album to date, they will hopefully move to the upper echelons of the current wave of female fronted melodic prog bands. 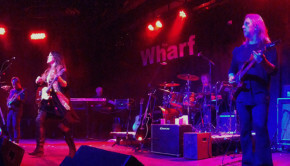 This Welsh band will be familiar to many for the inclusion in their ranks of vocalist Anne-Marie Helder who has been very busy of late as she is also a current member of Mostly Autumn as well as being half of Luna Rossa with Panic Room keyboardist Jonathan Edwards and a solo performer as seen supporting Steve Hackett during last year’s Genesis Revisited dates. 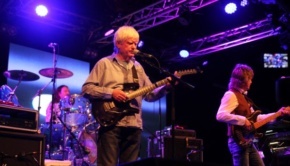 Having been in existence since 2007, emerging from the ashes of the then defunct Karnataka, the core of the band still comprises original members Helder, Edwards and drummer Gavin Griffiths with bassist Yatim Halimi and recent recruit guitarist Adam O’Sullivan who takes over from founder member Paul Davies. With the heart of the band remaining the same throughout their career there is a consistency to Panic Room’s work which is to be admired as they continue to develop as a writing and recording entity. With Incarnate the band have released a wide-ranging album that covers a lot of ground very elegantly. From the strident opener Velocity, a song that is direct and full of energy. It immediately catches the listener’s attention and there is real power in the music, Anne-Marie’s exquisite vocal, supported in the verses by electric piano, adds the necessary emotion that gives the material legs. The harder-edged chorus ups the ante and overall this is an impressive start. Having settled into the album quickly, next up is Start the Sound which is the kind of epic ballad that with the right exposure could sell millions. The melody is driven on plucked strings with fretless bass and busy yet low-key drums, the song expanding into an epic chorus that Anne-Marie delivers with panache. The album features three tracks over the seven minute mark that give the band the necessary space to develop ideas and stretch out. The first of these is the title track which builds from an expansive introduction into a foundation built on Griffiths’ skittering drums and Edwards’ electric piano, bursts of Eastern energy adding an exotic twist. Anne-Marie smoulders and then explodes in turns; this is a very confident performance that underlines her talent. Nothing New features a breathless vocal from Anne-Marie supported by good use of strings. There’s a great chorus supported by Edward’s piano that lifts the song readily as Helder’s vocals soar to the heights. The band perform well as a unit throughout, serving the songs to best advantage with no need to rely on anything particularly showy. Towards the end of Nothing New the power increases and the orchestration builds to thrilling effect before falling away for Edwards and O’Sullivan to trade smoky solo spots. The whole track is beautifully realised. 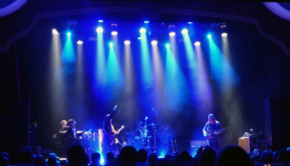 The stabbing electric piano intro to Waterfall is initially reminiscent of Supertramp but as the vocal comes in the song develops its own identity. Immediately likeable, there is an upbeat vibe that remains through the twinkling mid-section and on to the close. Into Temptation is the longest track and again uses a world music feel to underscore the piece. Swelling out from echoed vocals, the widescreen approach is again in evidence, O’Sullivan adding a bluesy solo. Halimi’s bass work is very nice, the steady rhythm punctuated by hypnotic electric piano and a steady drum pattern. Helder is the focus and she certainly has the voice and personality to pull it off, the song finishing, after a climactic building of rhythms that adds real depth, with spiralling solo guitars and Helder’s wordless vocal. Lovely. All That We Are sees the band ably supporting Helder in a bravura performance, bluesy and emotional, whilst Searching again deploys Griffiths’ skittering drums, sweeping orchestral strings and nicely picked guitar coupling with Edwards’ stately keys to provide the perfect backing upon which Helder can soar. The harmonica solo in the second half is an unexpected and nice touch with a lovely guitar solo from O’Sullivan that again shows his love of the blues as the track builds to a worthy climax. Close the Door slows things down, a stark acoustic guitar and piano piece to start, Helder’s fragile vocal taking centre stage. The arrangements, as throughout the album, are superb as the rhythm enters and a plucked harp motif adds hugely. This album is clearly the work of people who know what they’re doing and how to get the most out of their source material. Dust starts with moody low-end piano matched with a high vocal and builds in a truly atmospheric fashion, the perfect way to finish an album of this kind of quality. Epic and full of interesting work it builds to the climax and ebbs away to peace. Symphonic in approach it is probably the most progressive track on the Incarnate. The songs fit together well to form a very complete album. Although predominantly rooted on the keys with sweeping orchestral string arrangements, the guitar cuts through beautifully here and there with rhythm playing a vital role in directing the songs which are multi-layered and retain the interest beautifully while building to sweeping climaxes. The playing is particularly well directed and this is a mature and well realised album from a band that deserves to be widely recognized. performances are all superb and serve the songs well, which is just the way it should be. There are no weak parts to this album and it works beautifully from start to finish. It might lack the angularity and cutting edge to take it to somewhere new but as an album of superbly realised songs this works a treat, every one of them bearing repeated listens. 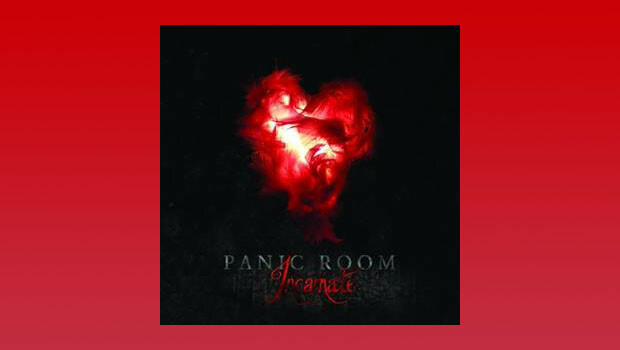 In my opinion Panic Room have certainly got it all right with Incarnate, their best album to date.